FluentU Spanish Is Now In Public Beta! If you’ve been waiting for access to FluentU Spanish, you can go sign up right now. 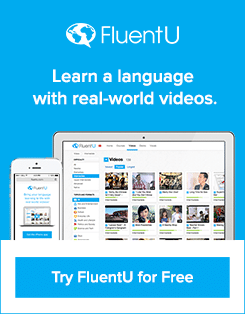 In case you didn’t know, FluentU Spanish is the best way to learn Spanish through real-world videos. We’ve found the web’s best Spanish videos – music videos, movie trailers, news, and inspiring talks – and transformed them into language learning experiences. Want to learn more? Then watch the video below. Or better yet, sign up and start using FluentU Spanish now!